Panel discussions are free and open to the public on a first-come, first-served basis, advance tickets are not required. ENGAGE MORE NOW! is an international conference on the subject of public engagement. The symposium will convene a group of experts to consider ongoing practices initiated by artists and museum professionals—both within and outside of institutions—that are designed to engage the public in discursive projects that may take the form of social practice, performance, or artistic intervention. Hosted by the Hammer, these conversations are intended to refine the methodological and theoretical framework for public engagement and to consider the multiple contexts for its display and reception. ENGAGE MORE NOW! will address three main areas of investigation within this larger topic: Inside: museum-sited engagement; Transient: nomadic museum practices; and Outside: artist-initiated engagement outside existing institutional frameworks. Attendees will additionally have an opportunity to learn more about the Hammer Museum’s Public Engagement partnership with Art + Practice Foundation (A+P), a new art and social services organization in Leimert Park created by the artist Mark Bradford, the philanthropist and collector Eileen Harris Norton, and the social activist Allan DiCastro. The symposium takes place at the Hammer Museum in Los Angeles on November 6 and 7, 2015, and admission is free to professionals and the public. Questions about the program or schedule? Contact [email protected]. Confirmed speakers include: Allison Agsten, Johanna Burton, María Fernanda Cartagena, Hendrik Folkerts, Shahab Fotouhi, Andrea Fraser, Victoria Fu, Synthia Griffin, David Gutiérrez Castañeda, Deana Haggag, Candice Hopkins, Jamillah James, Sarah Jesse, André Mesquita, Jennifer S. Ponce de León, Yasmil Raymond, Lucía Sanromán, Franklin Sirmans, A.L. Steiner, Ultra-Red (represented by Robert Sember and Leonardo Vilchis), Paulina Varas, What, How & for Whom (represented by Ivet Curlin), and Dominic Willsdon. * denotes that the discussion will be streamed live online. Embedded videos are below the schedule. This program is a forum to extend conversations initiated during panel conversations and to incorporate attendees in the dialogue. Online reservations are closed, as we have reached capacity. Limited tickets may be available at the door. The guest panel is organized byTalking to Action for Otis College of Art and Design in coordination with the Graduate Public Practice Program and is part of The Getty Foundation’s Pacific Standard Time LA/LA initiative. Paul Chan is an artist who lives in New York. A survey exhibition, Paul Chan: Selected Works, was mounted by Schaulager, Basel, Switzerland, in 2014. Other solo exhibitions include My Laws Are My Whores, Renaissance Society, University of Chicago (2009); Paul Chan: Three Easy Pieces, Carpenter Center for the Visual Arts, Harvard University, Cambridge, MA (2008); Paul Chan: The 7Lights, Serpentine Gallery, London, and New Museum, New York (2007–8); and Paul Chan, Para/Site art space, Hong Kong, 2006. His work has been shown in many international exhibitions, including Documenta 13, Kassel, Germany (2012); Before the Law, Ludwig Museum, Cologne (2011–12); Making Worlds, 53rd Venice Biennale (2009); Traces du sacré, Centre Pompidou, Paris (2008); 16th Biennale of Sydney (2008); 10th International Istanbul Biennial (2007); and Whitney Biennial, Whitney Museum of American Art, New York (2006). In 2007 Chan collaborated with the Classical Theatre of Harlem and Creative Time to produce a site-specific outdoor presentation of Samuel Beckett’s play Waiting for Godot in New Orleans. Chan’s essays and interviews have appeared in Artforum, Frieze, Flash Art, October, Tate etc., Parkett, Texte zur Kunst, Bomb, and other publications. Sharon Hayes employs multiple art mediums—video, performance, and installation—in an ongoing investigation of various intersections between history, politics, and speech. Her work is concerned with developing new representational strategies that examine and interrogate the present political moment. She has had numerous solo exhibitions, including those at the Whitney Museum of American Art, New York (2012); Museo Nacional Centro de Arte Reina Sofía, Madrid (2012); Art Institute of Chicago (2011); Warsaw Museum of Modern Art, Poland (2008); New Museum for Contemporary Art, New York (2007); and P.S. 1 Contemporary Art Center, Long Island City, NY (2001). Hayes’s work has also been shown at in the Istanbul Biennial (2009); Yokohama Triennale, Japan (2008); Guangzhou Triennial, China (2008); and Performa05, New York (2005). Her collaborative video installation, 9 Scripts from a Nation at War (2007)—made with Andrea Geyer, Ashley Hunt, Katya Sander, and David Thorne—was shown at Documenta 12 in Kassel, Germany, and subsequently at Tate Modern, London, and REDCAT, Los Angeles. The work was acquired by the Museum of Modern Art, New York. Hayes is an assistant professor at the Cooper Union, New York. Allison Agsten is director of a new institution slated for downtown Los Angeles that will present the work of contemporary L.A.-based artists. Previously she was curator of public engagement at the Hammer Museum, leading an innovative program focused on creating exchanges between visitors and the museum through works of art. Additionally, Agsten oversaw the museum’s artist board, initiated the Hammer’s visitor services department, and organized an in-depth partnership with Art + Practice, an art and social services nonprofit in the Leimert Park neighborhood of Los Angeles. Previously, as director of communications at the Los Angeles County Museum of Art (LACMA), Agsten spearheaded a number of projects related to accessibility, including Reading Room, a first-of-its kind program to make rare LACMA publications available for free online. She also developed the museum world’s first bilingual (Spanish and English) Twitter accounts. Prior to joining LACMA, Agsten covered the visual and performing arts as a producer in CNN’s Los Angeles bureau. Johanna Burton is Keith Haring Director and Curator of Education and Public Engagement at the New Museum in New York. An art historian, critic, and curator, she has contributed articles and reviews to numerous journals—including Artforum, Art Journal, October, and Texte zur Kunst—as well as to exhibition catalogues for institutions throughout the world. Burton has curated or cocurated a number of exhibitions, including Sherrie Levine: Mayhem at the Whitney Museum of American Art, New York, in 2011 (with Elisabeth Sussman); Anti-Establishment at the Center for Curatorial Studies at Bard College, Annandale-on-Hudson, NY, in 2012; Take It Or Leave It: Institution, Image, Ideology at the Hammer Museum, Los Angeles, in 2014 (with Anne Ellegood); and, at the New Museum, XFR STN (2013) and Wynne Greenwood: “Kelly” (2015), among other projects. Prior to her work at the New Museum, Burton was director of the graduate program at the Center for Curatorial Studies at Bard College (2010–13) and associate director and senior faculty member at the Whitney Independent Study Program (2008–10). María Fernanda Cartagena lives in Quito, Ecuador and is the current Executive Director of the Fundación Museos de la Ciudad. She holds a degree in History of Art from The American University Washington D.C., and a Master's in Visual Cultures form Middlesex University, London. As curator and researcher she has been exploring the links between art and politics, art in the public sphere, community art, alternative pedagogies, and the relation between culture and colonialism. Editor of the online journal LatinArt.com since 2006. Curator of “Franja Arte-­‐Comunidad” an art residency program in communities located in the coastal region of Ecuador 2009-­‐2012. Member of the Red Conceptualismos del Sur and of the Corporación Wacharnack a not-for-profit organization and platform for art and cultural research, education, management and production that promotes a perspective based on cultural rights and decolonization. David Gutiérrez Castañeda (Colombian national residing in Mexico) is a sociologist, having received his degree from the National University of Colombia (2006). He is currently a doctoral student in the Art History Department with a focus on contemporary art at the National Autonomous University of Mexico (UNAM), where he received his MA in 2011. He is a member of the research collective Taller de Historia Crítica de Arte (since 2006) and the ReddeConceptualismosdelSur (since 2008). He has held positions as professor and researcher at the National Pedagogical University of Columbia in the Visual Arts Program (2008-­‐2009), at the Pan-­‐American University (2007-­‐2008), in the master’s program of Museology and Heritage Management at the National University of Colombia (2006-­‐2009), at the University of Communication-­‐Mexico (2012), and at the Academy of Mexican Dance (2013-­‐2014). He was awarded grants from the Colegio Mexiquense and the Ford Foundation for the Libertades Laicas Program to undertake a research residency concerning art and secularism at the College of Mexico (2006). Additionally, he was conferred the National Award for Art Criticism from the Ministry of Culture in Colombia in 2010. His research initiatives include “Mirando Mas Allá, Going In: Arte e Intereses Sociales en Colombia” (National University of Colombia, 2006), “Gathering: Procesos Culturales y Movimientos de Autoaﬁrmación” (Pan-­‐American University, 2007-­‐2008), “Las Prácticas Artísticas Contemporáneas como Fuente para el Aprendizaje Signiﬁcativo” (National Pedagogical University, 2008), “Mapa Teatro 1987-­‐1992” (National Autonomous University of Mexico, 2009-­‐2012), “Ejercicios de Restitución” (National Autonomous University of Mexico, currently in process). Amongst his various publications, he authored “Mapa Teatro 1987-­‐1992” (2014) most recently. Finally, David serves as advisor and consultant for diverse Latin American institutions regarding contemporary artistic practice and social processes in Latin America. Hendrik Folkerts is curator of Documenta 14, which will take place in Kassel, Germany, and Athens, Greece, in 2017. From 2010 until 2015 he was curator of performance, film, and discursive programs at the Stedelijk Museum, Amsterdam. Folkerts curated the public programs of the Temporary Stedelijk, an interim program that was presented in 2010–11, as well as Temporary Stedelijk 3: Stedelijk @ (TS3) in 2011–12. Developed in close collaboration with various partner institutions, TS3 featured performances, exhibitions, lectures and public interviews, symposia, film screenings, and concerts at locations throughout Amsterdam. Following the grand reopening of the Stedelijk Museum in September 2012, Folkerts continued to oversee performance, film, and discursive programs there, working with such artists as Pablo Bronstein, Valie Export, Dominique Gonzalez-Foerster, Sharon Hayes and Brooke O'Harra, Ulrike Rosenbach, Emily Roysdon, and Wu Tsang. Prior to joining the Stedelijk, Folkerts was coordinator of the curatorial program at De Appel arts centre, Amsterdam, from 2009 until 2011. He is coeditor of Shadowfiles: Curatorial Education (2013) and Facing Forward: Art and Theory from a Future Perspective (2015) and is a founding editor of the peer-reviewed journal Stedelijk Studies. Shahab Fotouhi is an artist who lives and works in Tehran, Iran. He studied fine art at Städelschule, Frankfurt, Germany (2008–10). His recent shows include Establishing Shot; Interior, Night—Exterior, Day; without Antagonist and Extra, Azad Gallery, Tehran (2013); 7th Taipei Biennial, Taiwan (2010); Home Works 5, Beirut, Lebanon (2010); 4th Auckland Triennial, New Zealand (2010); 11th Istanbul Biennial (2009); and By the Horses Who Run Panting, Azad Gallery, Tehran (2009). His videos have been shown in The Uncertainty Principle, Barcelona Museum of Contemporary Art (MACBA), Spain (2009), and New Voices, Barbican Center, London (2008). Fotouhi was an artist-in-residence at the Queens Museum of Art in New York in 2014. 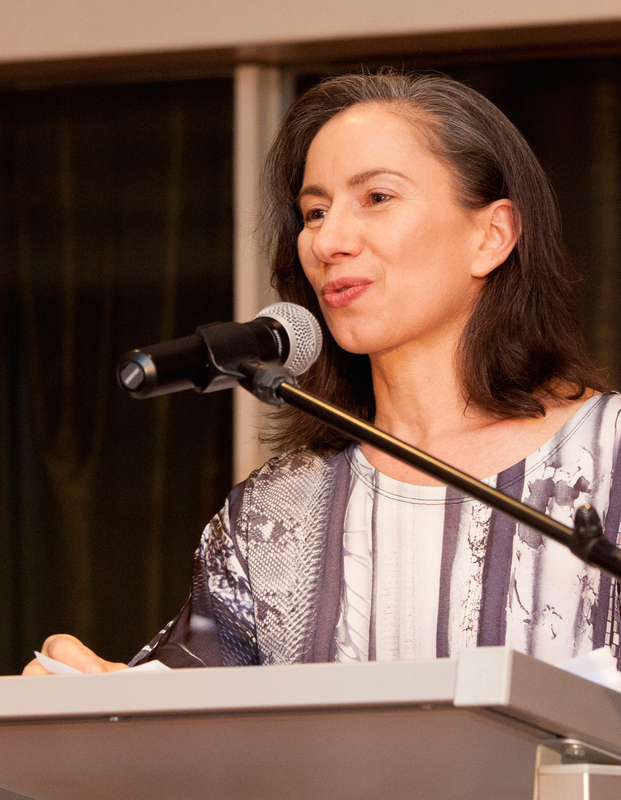 Andrea Fraser is an artist whose work has been identified with feminism, performance, and institutional critique. Retrospectives of her work have been presented by the Hamburger Kunstverein (2003); Museum Ludwig, Cologne (2014); and Museum der Moderne Salzburg, Austria (2015), and she will have solo exhibitions at the Barcelona Museum of Contemporary Art (MACBA), Spain, and the Museo Universitario Arte Contemporáneo, Mexico City, in 2016. Her performance Not just a few of us was featured in Prospect.3: Notes for Now, New Orleans, in 2014, and her work was included in the 2012 Whitney Biennial, Whitney Museum of American Art, New York. Fraser is professor of new genres in the Department of Art at UCLA. Victoria Fu is a visual artist who lives and works in Los Angeles and San Diego, where she is assistant professor of visual arts at the University of San Diego. She received her MFA from the California Institute of the Arts, an MA in art history and museum studies from the University of Southern California, and a BA in art history from Stanford University. She attended the Whitney Independent Study Program and was a resident at Skowhegan in 2006. In 2014 her work was shown in the Whitney Biennial, Whitney Museum of American Art, New York; the 52nd New York Film Festival; and the 9th Visual Arts Biennial of Nicaragua, Managua. She also participated in Approximately Infinite Universe, Museum of Contemporary Art San Diego, La Jolla (2013). She has had solo exhibitions at the University Art Gallery, University of California, Irvine (2014), and the Contemporary, Baltimore (2015). Fu is a 2013–14 Art Matters Foundation Grantee and a 2015 Guggenheim Fellow. Synthia Griffin leads Tate Modern’s work on regeneration and community partnerships, using contemporary art and culture as a catalyst for understanding how we interact with social space, public space, and the built environment. 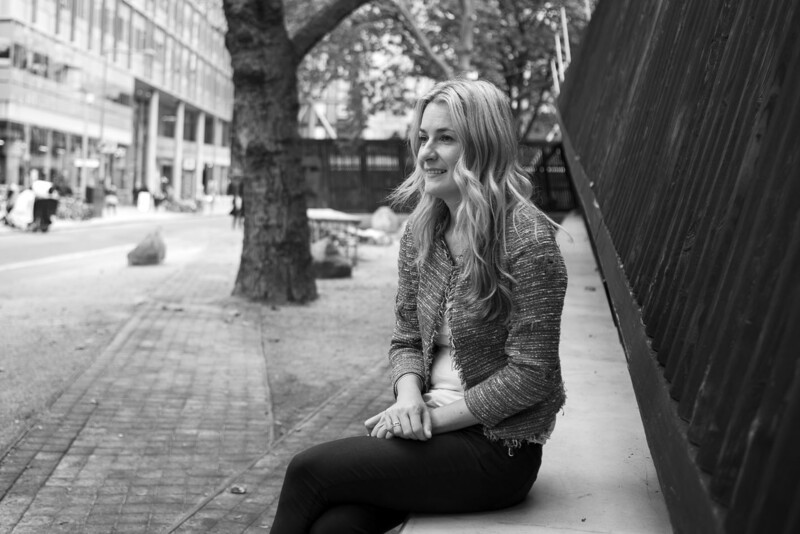 She leads community projects, publications, and collaborative art platforms that target specific communities in London’s Southwark and Lambeth neighborhoods. In 2012 Griffin developed Silent University with the artist Ahmet Ögüt, working with migrants and refugees to establish a knowledge exchange platform. The group moved throughout London, constantly shifting its experience of space. The focus of Silent University was the value of knowledge, alternative currencies, power relationships, silence as an active state, and contested spaces, be they imaginary, physical, or otherwise. In an equally powerful and transformative program, Griffin curated an ongoing artist-led publication developed with various community groups called Tate Modern and You. The most recent edition featured the photographer Chloe Dewe Mathews and sought to explore the collective religious experience and the growing phenomena of African churches in south London. The examination focused on churches in areas of regeneration and the transformation from industrial zones to places of worship. 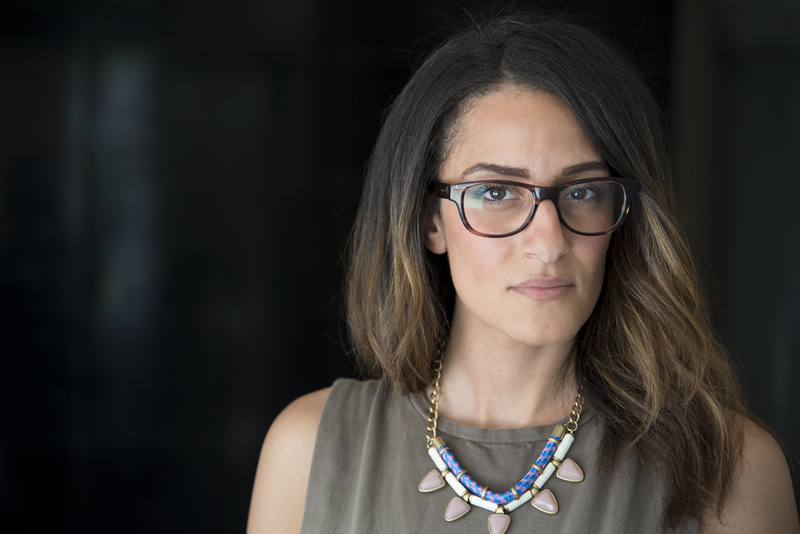 Deana Haggag has been with the Contemporary, Baltimore, since the spring of 2013. Prior to her work with the museum, she was curator-in-residence at Gallery CA, located in Baltimore’s City Arts building, which is home to more than ninety artists. Haggag received her MFA in curatorial practice from the Maryland Institute College of Art and a BA from Rutgers University in art history and philosophy. In addition to her work at the Contemporary, she curates independent exhibitions, consults on various public art initiatives, and contributes to cultural publications. She lectures extensively throughout the United States and serves as guest faculty in universities throughout the region. She is on the board of the Greater Baltimore Cultural Alliance and Whoop Dee Doo, and she founded the Baltimore chapter of the Awesome Foundation. She also serves as a member of the Affiliates Board for the Museums and Society Program at Johns Hopkins University and is an active participant in the StageOne/FANS council at the Baltimore School for the Arts. Haggag was named one of “10 People to Watch Under 30” by the Baltimore Sun in 2013. Candice Hopkins is chief curator at the IAIA Museum of Contemporary Native Arts, Santa Fe, and a curatorial adviser for Documenta 14. 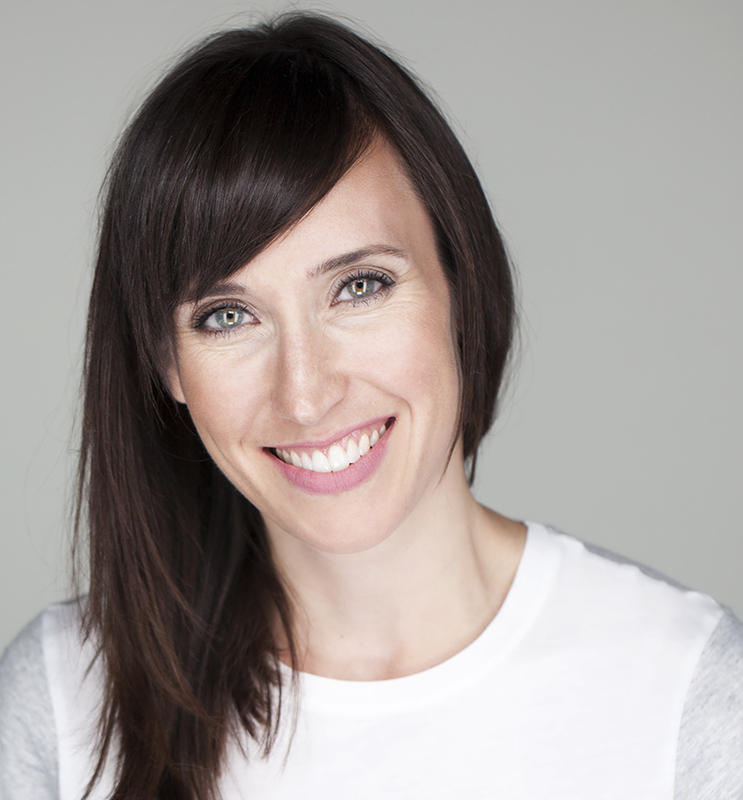 She has held curatorial positions in Canada at the National Gallery of Canada, Ottawa; Western Front, Vancouver; and the Walter Phillips Gallery at the Banff Centre. Hopkins's writings on history, art, and vernacular architecture have been published by MIT Press, BlackDog Publishing, Revolver Press, New York University, Fillip Review, and the National Museum of the American Indian, among others, and she has lectured widely. 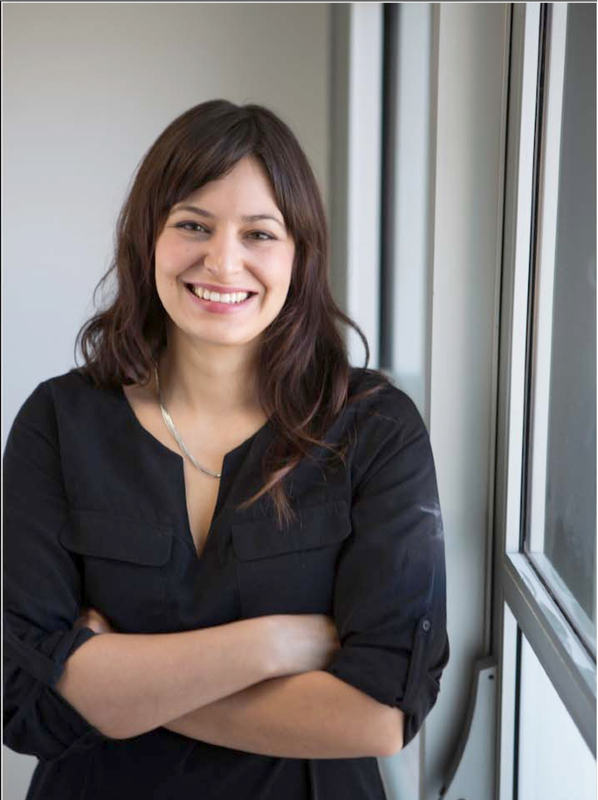 Her recent curatorial projects include Close Encounters: The Next Five Hundred Years (cocurated with Steve Loft, Lee-Ann Martin and Jenny Western), Winnipeg; Sakahàn: International Indigenous Art, National Gallery of Canada (2013); and the 2014 SITE Santa Fe biennial exhibition Unsettled Landscapes. She is coeditor of the books Recipes for an Encounter (Western Front, 2009) and Jimmie Durham: The Second Particle Wave Theory (Walter Phillips Gallery Editions and Art Editions North, 2005). Jamillah James is assistant curator at the Hammer Museum, Los Angeles. With Anne Ellegood, Hammer senior curator, she was an institutional curator for the spring 2015 exhibition Charles Gaines: Gridwork 1974–1989 at the Hammer (organized by the Studio Museum in Harlem, New York) and recently assisted Hammer chief curator Connie Butler with the exhibition and publication Mark Bradford: Scorched Earth. In addition to exhibitions at the Hammer, James organizes exhibitions and programs at Art + Practice in Leimert Park, Los Angeles, the Hammer’s public engagement partner through fall 2016. Exhibitions at Art + Practice include Charles Gaines: Librettos; Manuel de Falla / Stokely Carmichael (co-organized with Anne Ellegood); Njideka Akunyili Crosby: The Beautyful Ones, and Two Films by Akosua Adoma Owusu. Before coming to the Hammer, James held curatorial positions at the Studio Museum in Harlem; the Queens Museum, NY; and the Hyde Park Art Center, Chicago, and independently organized exhibitions, performances, and screenings in Chicago, Baltimore, New York, and Philadelphia. She has been a visiting lecturer and taught seminars on curatorial practice and contemporary art at art schools and other institutions throughout the country. Sarah Jesse is associate vice president of education at the Los Angeles County Museum of Art. Prior to assuming that position, she was the director of education and public programs at the Philbrook Museum of Art in Tulsa, Oklahoma, and the assistant director of public programs at the Museum of Contemporary Art Chicago. Bill Kelley, Jr. is an educator, curator and writer based in Los Angeles. He graduated with a Master’s in 19th Century Colonial Art Studies from the University of New Mexico, Albuquerque (UNM). His current research focuses on collaborative and collective art practices in the Americas. Bill has written for such journals as Afterall, P.E.A.R., and Log Journal. His most recent projects include being co-­‐curator of the 2011 Encuentro Internacional de Medellín (MDE11: Museo de Antioquia, Medellín, Colombia, 2011) as well as acting as the 2012-­‐2013 Curator in Residence for 18th Street Art Center. Bill is the former Director of the online bilingual journal LatinArt.com and is Associate Professor at Otis College of Art’s Graduate Public Practice MFA program. He is currently completing his Ph.D. in Contemporary Art, Theory and Criticism at the University of California at San Diego (UCSD), and is co-editing an anthology with Grant Kester of collaborative and dialogical art practices in the Americas entitled: Collective Situations: Readings in Contemporary Latin American Art 1995-­‐2010 (Duke University Press, forthcoming). He most recently co-organized the two‐day convening LA/LA: Place + Practice for the Getty Foundation and The Getty Research Institute (May 2 & 4, 2015) and is currently the Lead Researcher and Curator of Talking to Action, Otis College of Art’s contribution to the Getty’s Pacific Standard Time: LA/LA (2017). André Mesquita is a researcher on the relationships between art, politics, and activism. He holds a PhD in Social History from the University of São Paulo. He is the author of the books Insurgências poéticas: arte ativista e ação coletiva (2011), Esperar não é saber: arte entre o silêncio e a evidência (2015), and co-author ofDesinventario: esquirlas de Tucumán Arde en el archivo de Graciela Carnevale (2015). As a member of the Red Conceptualismos del Sur (Southern Conceptualisms Network), he was one the curators of the exhibition Perder la forma humana: una imagen sísmica de los años ochenta en América Latina (Museo Reina Sofía, 2012). Also, he was the co-curator of the exhibition Politicization of friendship (Moderna Galerija/Museum of Contemporary Art Metelkova, Ljubljana, 2014). Jennifer S. Ponce de León (née Flores Sternad) is an Assistant Professor in the Department of English at the University of Pennsylvania. 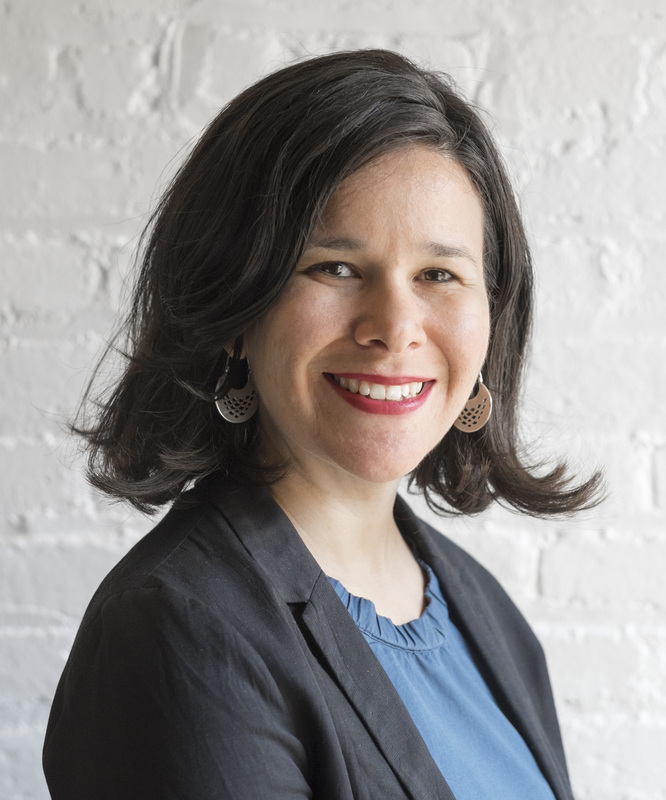 Her research is situated at the intersection of literary studies, studies of contemporary visual arts and aesthetics, and the study of leftist political and social movements, bringing together contemporary U.S. Latino/a and Latin American cultural production within a hemispheric framework. Her current book project, Art & Politics Across the Americas: Artists, the State and Popular Struggles in the New Millennium is an interdisciplinary and transnational study of politically engaged literature, art, and performance by artists in Argentina and Chicano/a and Mexican artists in the U.S. It posits a transnational generational formation of cultural producers aligned with leftist movements and ideologies -- specifically, those whose politics are anti-capitalist, anti-imperialist, and decolonial -- and whose artistic production is shaped by social transformations brought about through neoliberalization and the influence of recent subaltern-popular movements. Her work has been published in Dancing with the Zapatistas, Live Art in LA, 1970-1983, Art and Activism in the Age of Globalization, MEX/LA: Mexican Modernisms in Los Angeles, and in the journals e-misférica, GLQ: A Journal of Lesbian and Gay Studies, Contemporary Theatre Review, The Journal of American Drama and Theater, and Interreview. She holds a PhD in American Studies from NYU and an MA in Art History from UCLA. Yasmil Raymond is associate curator in the Painting and Sculpture Department at the Museum of Modern Art, New York (MoMA). Prior to joining MoMA, she was curator at Dia Art Foundation, New York, where she has organized exhibitions and projects with the artists Allora & Calzadilla (2015), Carl Andre (2014), Thomas Hirschhorn (2013–12), Jean-Luc Moulène (2012), Yvonne Rainer (2011–12), Ian Wilson (2011–13), Robert Whitman (2011), Koo Jeong A (2010–11), Franz Erhard Walther (2010–12), and Trisha Brown (2009–10). From 2004 to 2009 she was an associate curator at the Walker Art Center, Minneapolis. At the Walker, Raymond cocurated several exhibitions, including, with Philippe Vergne, Kara Walker: My Complement, My Enemy, My Oppressor, My Love, which won the 2008 award for the best monographic museum show from the International Association of Art Critics. She also curated solo exhibitions with Tomás Saraceno and Tino Sehgal and cocurated with Doryun Chong the group exhibition Brave New Worlds. Lucía Sanromán is an independent curator and writer who lives between Mexico City and San Diego, CA. Her current focus lies in investigating aesthetics in relation to efficacy in public and social practice and exploring the relationships and limits between aesthetics and disciplines outside of the arts. 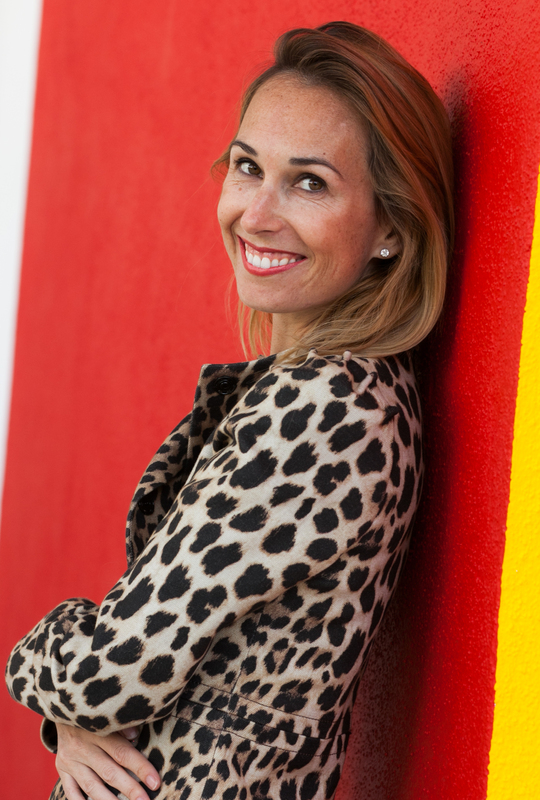 From 2006 to 2011, Sanromán served as Associate Curator at the Museum of Contemporary Art San Diego. In 2008 she co-­‐curated, with Ruth Estévez, the inaugural exhibition for Centro Cultural Tijuana’s expansion with the exhibition Proyecto Cívico/Civic Project. She was curator of Political Equator 3 organized by Teddy Cruz for UCSD/Ford Foundation (2011); Proyecto Coyote for Encuentro Internacional de Medellin 2011 (MDE11); and Anomalia for the University Art Gallery at UC San Diego (2012). She is the editor, with Cesar Garcia, of Marcos Ramírez ERRE published by INBA and Museo de Arte Carrillo Gil (2012), and was a lecturer in the contemporary art symposium SITAC: estar-­‐los-­‐unos-­‐con-­‐los-­‐otros in 2013. 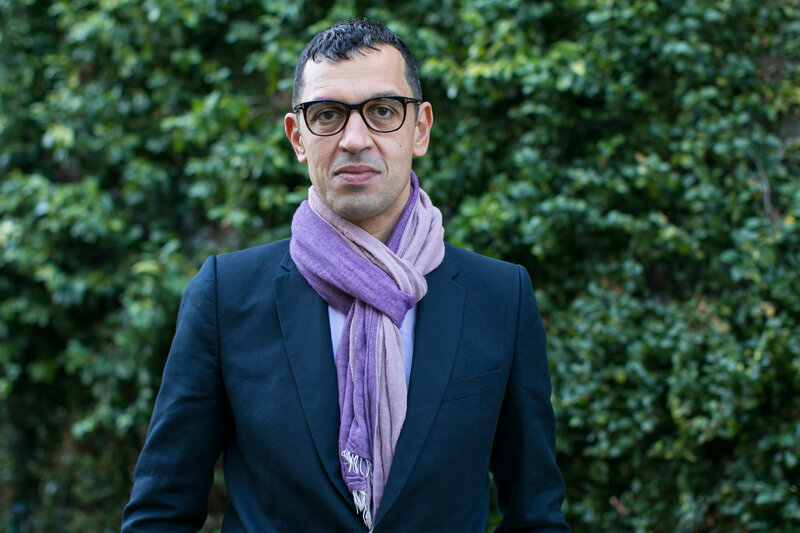 Sanromán has been awarded the 2012 Warhol Foundation Curatorial Fellowship for Citizen Culture: Art and Architecture Shape Policy, an exhibition and research project organized by the Santa Monica Museum of Art for September 2014. She organized the retrospective exhibition inSite: Cuatro ensayos de lo público, sobre otro escenario, at Proyecto Siqueiros: La Tallera, in Cuernavaca Mexico in (March 2014). She is co-­‐curator with Candice Hopkins, Janet Dees and Irene Hofmann the next edition of SITE Santa Fe’s signature Biennial SITElines.2014: Unsettled Landscapes (July 2014). She is an awardee of a The Pew Center for Arts & Heritage Fellowship for 2014. Sanromán is Estudio SITAC Director for 2014-­2015. Robert Sember has been a member of the international sound-art collective Ultra-red since 2005. For twenty years Ultra-red has investigated the contributions that experimental sound art can make to political organizing. Ultra-red projects focus on (im)migrants’ rights, affordable housing, sexual and gender rights, and antiracism and antipoverty struggles. Sember has been working on Ultra-red’s Vogue’ology initiative, a long-term collaboration with the house and ballroom scenes that was initiated during his 2009–10 fellowship with the Vera List Center for Art and Politics at the New School, New York. He has worked on a variety of public health initiatives, including undertaking extensive ethnographic research and policy analysis related to HIV/AIDS in the United States, South Africa, and Brazil. He is currently focusing on how the addiction and mental health recovery movement is engaging with national health-care reform. Sember brings a background in performance studies to his public health work and his collaborations with artists and curators. He has taught in the Mailman School of Public Health at Columbia University and the School of the Arts at UCLA. Since 2010 he has taught in the Interarts Program at the New School’s Eugene Lang College. 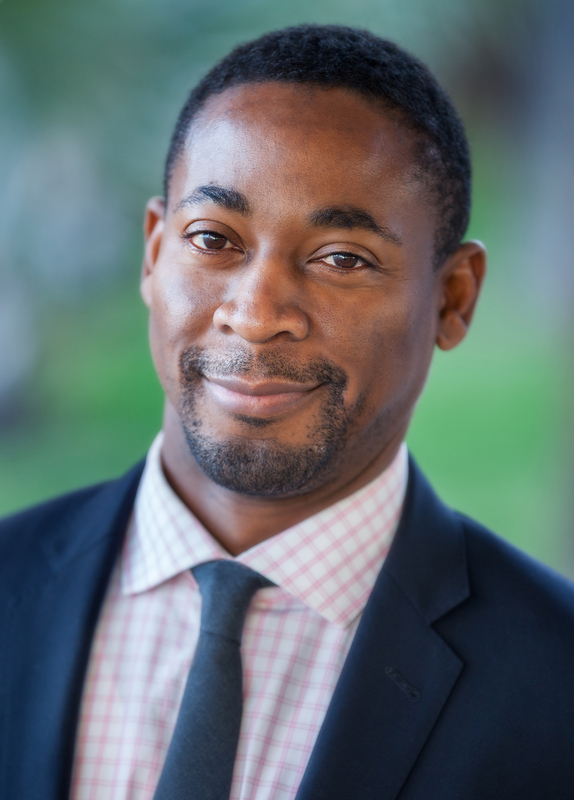 Franklin Sirmans is the Terri and Michael Smooke Curator and Department Head of Contemporary Art at the Los Angeles County Museum of Art (LACMA). His most recent exhibition there is Noah Purifoy: Junk Dada (2015), which will travel to the Wexner Center for the Arts, Columbus, Ohio. He has also installed Variations: Conversations in and around Abstract Painting (2014), Fútbol: The Beautiful Game (2014), and Ends and Exits: Contemporary Art from the Collections of LACMA and the Broad Art Foundation (2013). He co-organized the exhibition Human Nature: Contemporary Art from the Collection (2011). From 2006 to 2010 he was curator of modern and contemporary art at the Menil Collection in Houston, where he organized several exhibitions, including NeoHooDoo: Art for a Forgotten Faith (2008), Steve Wolfe: Works on Paper (2009), Maurizio Cattelan: Is There Life before Death? (2010), and Vija Celmins: Television and Disaster, 1964–1966 (2010). He received the 2007 David C. Driskell Prize, and he was the artistic director of Prospect.3 New Orleans from 2012 to 2014. A. L. Steiner is a Los Angeles–based artist who utilizes the constructs of the exhibition, collaboration, performance, pedagogy, writing, and curatorial work as seductive tropes channeled through the sensibility of a skeptical queer ecofeminist androgyne. She is a member of Chicks on Speed, a cocurator of Ridykeulous, and a cofounder of Working Artists and the Greater Economy (W.A.G.E. ), and she collaborates with numerous visual and performing artists. Steiner teaches in the MFA program at Bard College and is Visiting Faculty at Virginia Commonwealth University. She is a recipient of the 2015 American Academy in Berlin Prize. Paulina Varas is a researcher and independent curator. She received her Bachelor of Arts from the Universidad de Playa Ancha and is a doctoral candidate in the History and Theory of Art at the Universidad de Barcelona. She is coordinator of CRACValparaíso, a collaborative non-­‐profit research platform that works in the city of Valparaíso. With artist residencies, research action, and critical pedagogies and radical architecture, CRAC proposes a critical entanglement with the public sphere, the city and the territory as a network of connections and associations of social experiments. Since 2007, she has been a member of the Red Conceptualismos del Sur where she has participated in a number of publications, public presentations, support operations and working groups in Chile, Spain, Argentina, Peru, among others. She has written on contemporary Chilean and Latin American art in various international journals and publications such as: Brumaria, ArteContexto, LatinArt, PLUS, ArteyCritica, ERRATA, etc. She has authored or co-­authored the books: Muntadas en Latinoamérica (Caldas, 2009); “Catalina Parra. El fanstasma político del arte”, (Santiago de Chile 2011); Revisión/Remisión de la historiografía de las artes visuales chilenas contemporáneas (Santiago de Chile, 2011); “Mario Navarro. Sale el sol por la derecha y se esconde por la izquierda” (Santiago de Chile 2013) and “Guillermo Deisler. Archivo, textos e imágenes en acción” (Santiago de Chile 2013). Amongst her curatorial projects, she has notably curated or co-­‐curated Cierto tipo de poética política, (Valparaíso 2008); Subversive Practices, Art under conditions of political repression, 60s-­‐80s South America-­‐Europe, (Stuttgart, 2009); Valparaíso: Intervenciones, (Valparaíso 2010); “Una acción hecha por otro es una obra de la Luz Donoso” (Santiago 2011; “Artist for Democracy: el archivo de Cecilia Vicuña” (Santiago 2014). She has participated in projects of archive reactivation: CADA (Colectivo Acciones De Arte); Guillermo Deisler; Luz Donoso y la Bienal Internacional de Arte de Valparaíso. Leonardo Vilchis began working with Ultra-red in 1997 with STRUCTURAL ADJUSTMENTS. In addition to serving as Executive Director of Union de Vecinos, Vilchis has been an activist with the Sanctuary Movement and migrant struggles in Southern California and Mexico. As a video and sound artist, Vilchis drew on his experiences as a migrant and organiser for Ultra-red's performances of "Trabajo y Días." His knowledge of popular education and Liberation Theology has contributed to numerous Ultra-red projects that look at the intersection of cultural action and organising, including IMPERIAL BEACH (2001), THE DEBT (2003), and PLAZA MARIACHI (2006). What, How & for Whom (WHW) (represented by Ivet Curlin) is a curatorial collective formed in 1999 and based in Zagreb, Croatia, and Berlin. Its members are Ivet Ćurlin, Ana Dević, Nataša Ilić, Sabina Sabolović, and the designer and publicist Dejan Kršić. WHW organizes a variety of production, exhibition, and publishing projects and directs Gallery Nova in Zagreb. Since its first exhibition, titled What, How & for Whom, which took place in Zagreb in 2000, on the occasion of 152nd anniversary of the Communist Manifesto, WHW has curated numerous international projects. They include Collective Creativity, Kunsthalle Fridericianum, Kassel, Germany (2005); What Keeps Mankind Alive?, 11th Istanbul Biennial (2009); and One Needs to Live Self-Confidently . . . Watching, Croatian Pavilion, 54th Venice Biennale (2011). Recent projects by WHW include the festival Meeting Points 7, which took place in Zagreb, Antwerp, Cairo, Hong Kong, Beirut, Vienna, and Moscow under the title Ten thousand wiles and a hundred thousand tricks (2013–14) and the exhibition Really Useful Knowledge, Museo Nacional Centro de Arte Reina Sofía, Madrid (2014). Photo by Lidwien Van De Ven. Dominic Willsdon is Leanne and George Roberts Curator of Education and Public Practice at the San Francisco Museum of Modern Art. He directs the museum's programs of performance, film, public dialogue, and school initiatives. He was a cloud curator of the 2013 Mercosul Biennial, Porto Alegre, Brazil, and is a cocurator of the 2016 Liverpool Biennial. Willsdon is the coeditor of The Life and Death of Images: Ethics and Aesthetics (with Diarmuid Costello, 2008) and of three publications forthcoming in 2016: Visual Activism (with Julia Bryan-Wilson and Jennifer Gonzalez); Public Intimacy: Art and Other Ordinary Acts in South Africa (with Betti-Sue Hertz and Frank Smigiel); and Public Servants: Art and the Crisis of the Common Good (with Johanna Burton and Shannon Jackson). Ticketing: Tickets are required and available at the Box Office one hour before the program. General admission tickets are available one per person on a first come, first served basis following member ticketing. Visitors may attend individual panels, subject to capacity restrictions. Early arrival is recommended. Questions about the program or schedule? Contact [email protected]. Parking: Under the museum, $3 flat rate on weekends and after 6 p.m. on weekdays (cash only). The Hammer Museum's Public Engagement program is supported, in part, by the Los Angeles County Board of Supervisors through the Los Angeles County Arts Commission.